I was pretty shaken by the president’s recent lengthy press conference—77 minutes of on-my-mind-on-my-tongue comments. Afterwards, a question nagged. Where is President Trump’s gratitude for having won enough votes to win the country’s highest office? His negative, belligerent tone gnawed at me. Here was a man whose parents — his mother, a Scottish immigrant, his father a successful developer—provided opportunities far beyond the average, setting the stage for the privileged and fastidious lifestyle he can indulge at any moment. It is the United States government, its considerable resources and dedicated civil servants, its very working, which has provided the foundation and cushion of his life. Yet, by all accounts— from his inauguration speech, subsequent communications and impromptu tweets, he asserts that it is we who must be grateful to be saved from the catastrophe of living in America, 2017. I just want you to know. I inherited a mess, he declared last week. We are fast learning that Trump must criticize, must tear down what is and has been operational and functional, so as to declare his place in history— the savior of a crumbling scaffold, to redesign, to replace the old and well-enough-served with the new. His mantra, “Make America Great” is intended to promulgate the belief that he and he only (with his chosen people) can envision and change the trajectory of our destiny. Would that President Trump could offer compassion and empathy for the dilemmas of immigrants who have set down roots, yet have no clear path for citizenship. Would that he could embrace the possibilities of the range of immigrant resourcefulness to our national well-being. After I printed out the transcript of the 23 pages from Trump’s press conference, I searched for words, thoughts and ideas, which might reflect thankfulness, a sense of personal gratitude. Thirteen minutes in, Trump had an opportune minute to express appreciation for the swell of voters who pushed him over the top. Instead, he offered, 270 which you need, that was laughable. We got 306 because people came out and voted like they’ve never seen before so that’s the way it goes. And that’s the way he and it goes, throwing out words as if they were real descriptors, set in stone, proof of the intent to deconstruct what I have lived and appreciated over the past years. At the very end, he did politely state, It’s a great honor to be with you. Thank you very much. Thanks. I wish I could say “Thank you, Mr. President.” I am grateful to Fox News and the New York Times for the transcript; I am grateful for a discerning education; I am grateful for the freedom to write this blog. This entry was posted in Creativity, Currents, Mindfulness, Politics, Relationship(s), Sustainability, Uncategorized, Well-Being, Writing and tagged immigration, Trump deconstruction, Trump ingratitude on February 27, 2017 by fayewriter. I witnessed a flock of Robins foraging in the leaf litter on my back hill today. I’d been wondering about robins since yesterday, how it was the brown/orange female robin flitting around in my front garden looked so well fed. Peter Guren, the creator of the comic strip, Ask Shagg, answered my question, in part. In response to a reader’s inquiry about why robins don’t eat from a bird feeder during winter, he replied, “ Robins that don’t migrate will hang around and eat fruit in the winter.” That made sense; a few red berries, blue berries, still tethered to my holly and juniper shrubs, though a little spongy, lay in wait. I write this post at my kitchen table with a sweeping view of the back hill. The out door thermometer reads 58 degrees, a February thaw. I cannot say what drew my attention up the back hill, beyond the erosion/planter inserts filled with green pachysandra, to the bank of exposed leaves. The leaves were moving—flitting, fleeting, fluttering, leaping, turning. It was as if I were witnessing a live video on camera. But what was propelling all that action? I stood at the patio door to focus up the thirty yards where the scene was playing out. 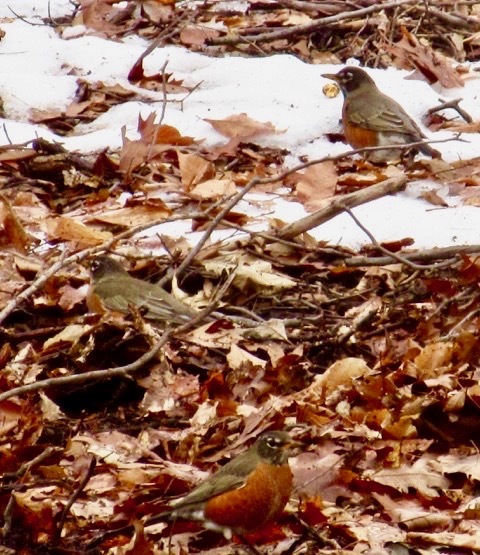 It took a sustained and conscious effort to zoom onto what seemed surreal, my imagination at play, when I caught sight of the red/orange breast of one, two, three, ten, twenty or more robins in a feeding frenzy. The sight of so many in the common search for food, their coordinated dance, the sense of their innate radar— food for nourishment beneath the melting of new snow, the moist leaves abundant with earthworms, beetles, spiders, and more. My anxious gut fluttered with gratitude, a release of pleasure, uncoiling with delight, this 30th day of Trump’s presidency, The robins had not flown south; they had stayed close to home, this homestead surrounded by oaks and American Beeches, the branched lily tree in the front garden which nests 3 to 4 chicks each spring. Since President Trump’s 77-minute press conference, his rant of free association, my mind craved grounding, a way to sort and sift what I had heard, a way to make sense of what made no sense. The birds offered a lesson. The flurry on this hill—at first sight—seemed wild, out of control. Brown, matted down, leaves were being propelled by an invisible force. Orange/red rounded bursts, grey wing- shaped pulsations, caused me to pause and focus more intently until the full sweep of what was occurring came into view. I am grateful for the lesson. This entry was posted in Currents, Happiness, Mindfulness, Nature, Politics, Relationship(s), Uncategorized, Well-Being and tagged lists as containment, rhythms of nature, Robins in winter, Trump anxiety on February 20, 2017 by fayewriter. I find list making calming. With a half-awake president wandering the darkened White House corridors at 3:00 a.m., asking his National Security Advisor about the benefits of a strong or weak dollar, tweeting edicts for the a.m. news, we are rapidly becoming a nation of insomniacs and worriers. When I worry, I make lists—in my head, on legal or skinny sized notepads, where the eye can scan down, take note and experience a semblance of control. First and foremost, my ever-present go-to is the grocery list. It’s comforting to use the last bit of blueberry jam and pen it on the top line. As if by magic, I have replaced it, a mental guarantor of a satisfying taste for the start of my day. 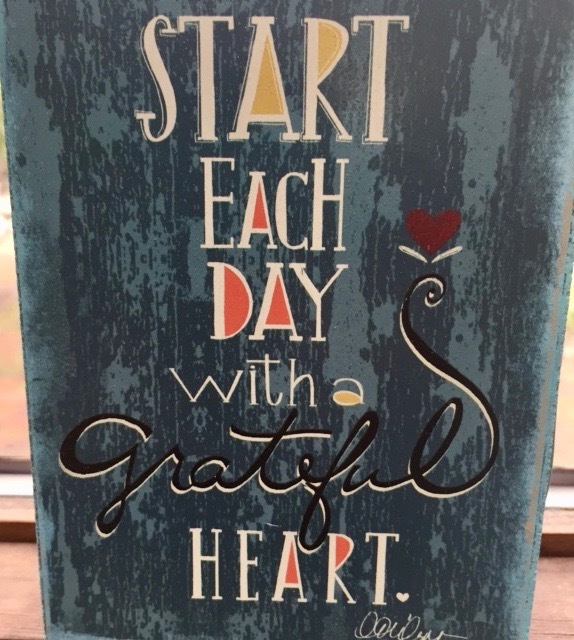 “To do” lists serve a similar purpose— phone calls to the plumber or a friend; e-mails, mostly personal, a prompt to send a birthday card or a note of sympathy. As I writer, I list ideas, random thoughts, phrases, words which evoke, please, resonate. I list projects— essays in process, essays to submit, essays submitted— acceptances and rejections. The most helpful and yes, the list requiring the most discipline and effort is the gratitude list. Since Trump’s election, my mental health depends on finding a balance between sources that nurture my inner world and those that direct my energies outward. I offer this week’s example. 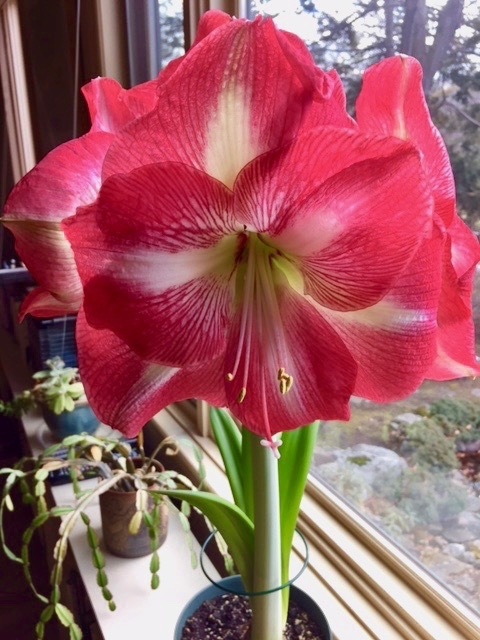 My fluffy amaryllis, wide open with four striped petals and a lime green throat—a beautiful gem which opens my heart every time I stop to notice, to touch its creamy skin. Breathing in the unexpected warmth of Wednesday’s spring-like day, temperature near 60, earthy smells, my clogged sinuses opening with lightness. The 3-0 unanimous decision of the 9th circuit’s court of appeal to maintain the stay on Trump’s order to restrict travel from seven ( predominantly Muslim) nations. Relief that the checks and balances are holding. Elizabeth Warren, who though silenced on the Senate floor, appeared on the Daily Show, spoke out on The Rachel Maddow Show, and disseminated a video where she persisted in reading Coretta Scott King’s letter and talking about Jeff Session’s role when African-Americans were beaten away from the polls. An unexpected part-time job offer from the Team Leader at the Whole Foods Whole Body aisle with whom I often swap nutrition and supplement info. Job requirement: knowledge of health issues and supplements, check; job experience with people, check; ability to stand on feet, check; climb ladders, lift 50 pound boxes, forget it! Nice fantasy, especially at my age. If you have experience with list making and its mental health benefits, please share in the comments section. I’m grateful for thoughts and ideas on this timely and important topic. This entry was posted in Creativity, Currents, Happiness, Mindfulness, Nature, Politics, Relationship(s), Uncategorized, Well-Being, Writing and tagged age of anxiety, gratitude, lists, mental health on February 13, 2017 by fayewriter. I was literally spinning last week— an acute bout of vertigo. It happened, out of the blue, as I began my usual routine of stretches in bed. No sooner did my head hit the mattress when the walls began to spin. I sat up, too suddenly, setting off a rocket reeling spin and acute anxiety. Like the fallout from Trump‘s presidency, this inflammation had been building. Mid-winter sinus pressure was not new. I hadn’t paid enough attention. The weight of my head was real and slowed me down. Twenty-four hour mindfulness (without exaggeration, even in bed, to avoid sudden motion) was necessary to hold off the spinning sensation. I was grateful to move from bed to steam pot to my computer. I was grateful for Marvin’s presence to assure my safety. For weeks, I’d been sad. My clogged sinuses made sense. Not once had I cried. Over breakfast, January 30th, I was served a plateful of gratitude . 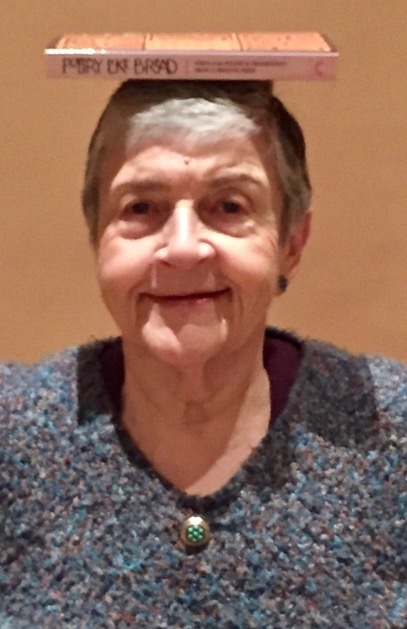 On the Boston Globe’s front page, the lead story —“A Stroke of the Pen, then 34 Tense Hours in Boston.” Journalists Ramos and Ryan told the story of a “patchwork resistance “in which two women, Susan Church and Heather Yountz, friends and lawyers, demonstrated how mindful attention and a willingness to step up can make a remarkable difference. Both women are mothers: Saturday meant sports for Church and for Yountz, taking her son to an immigration rally on the Common. Given Trump’s order to limit immigration from seven Muslim-minority countries, “They knew they had to come up with a plan.” By mid-morning, the order was being enforced, and a citizen from one of the affected countries was put on a flight back to Europe. These women worked together to carry their immigrant legal training forward. They acted—went to the airport and posted flyers in search of a person being detained. By 6:00 p.m., an Air France flight having just arrived,” they realized this might be their last chance to find someone.” In minutes, they overheard a woman, also waiting, speak of a case-by-case vetting procedure and recognized that these very people might be waiting for a loved one to be released. They engaged a plaintiff, connected with ACLU lawyers, wrote the complaint, phoned a judge, coordinated a complaint suing President Trump, divvied up the pleadings, offered the case in court and waited. At 1:00 the morning. of January 31st, four lawyers, three women and a man, won a temporary stay. As I write this, I am grateful to feel less sad. Clear in head, I am steady on my feet and grateful that “patchwork resistance” in the hands of civic-minded citizens is making a difference. Case in point: though the seven-day Boston stay was not continued, later on the last day, a Seattle judge ruled to halt immigration across the entire country! This entry was posted in Creativity, Currents, Happiness, Mindfulness, Politics, Relationship(s), Uncategorized, Well-Being, Writing and tagged immigration law, inflammation, Temporary stay, Trump anxiety on February 6, 2017 by fayewriter.